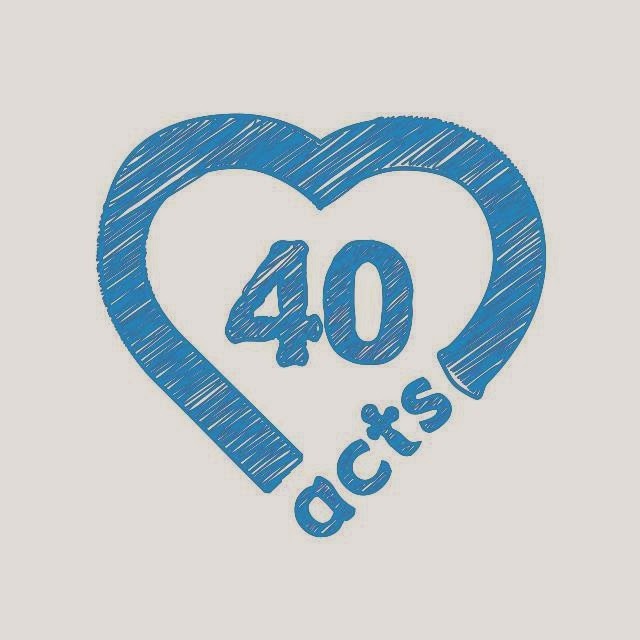 This Lent I am joining over 25,000 people in a journey of generosity, with 40acts. Act 1: start a journal. For the last (nearly) 13 years I have kept a notebook and diary at work. My day-to-day is well documented through a huge stack of books in the office. Since July 2011 I have kept this blog, maybe not as conscientiously, maybe missing parts that I'd rather my children not read about themselves in years to come, and parts that remain mine. But this is our journal, the place we can look, and reflect and how far we have come, in those times when you're living them a day can last seconds or each minute has felt lived.